Minsan Lang Kitang Iibigin is a nostalgic song. This is a romantic song perfect to serenade your special someone. I remember that we performed this song in Japan and on the ship Nippon Maru while we participated in the program Ship for Southeast Asian Youth Program. Inak idamdarumgis, iti rawis ti kamantiris. Pm pm pm pm p p pm. Pm pm pm pm p p pm. Pm! I just attended today the concert of the highly-acclaimed Mania Concert Choir (MCC) at the Northern Christian College (NCC) Auditorium. NCC President Ceasar Agnir brought the whole group to Laoag City to perform before the Ilocanos free of charge. This was highly commendable since it brought back much love, joy and appreciation for music by the community. 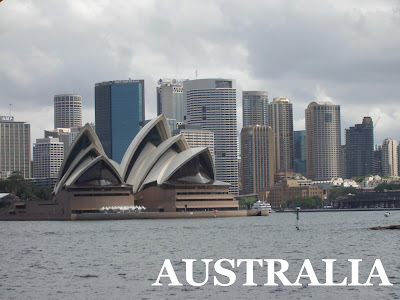 MCC is a group formed more than 5O years ago and it’s a world renowned choral group. It is headed by their president Prof Leonor Briones of the University of the Philippines who is a former National Treasurer. Dr Romulo Pizana, a professor of mathematics of the same university is the conductor. They are composed of people from different disciplines and of varying ages with 19 years old as the youngest of the group. 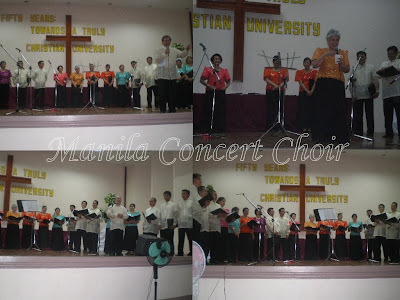 Their repertoire was a melange of spiritual, classical, Tagalog and Ilocano favorites. Their voices were so powerful and mesmerizing. 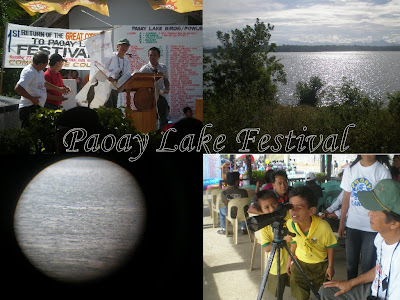 I had the chance to enjoy their rendition particularly of the Ilocano songs and captured it on video. Last Saturday, I attended the 9th Governor’s Ball held at Siera Madre Ballroom of Fort Ilocandia Resort Hotel in Laoag City. 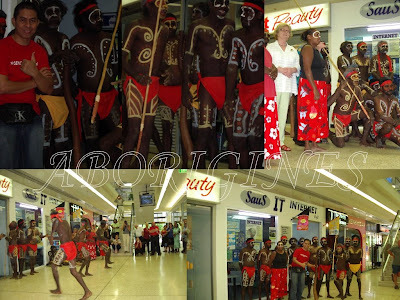 This event was a fundraiser of the provincial government to support the projects and activities of the Museo Iloko. Duhat wine and basi with cornick were served at the corridor. Dr. Jovencio Cuanang and some other VIPs were around chit chatting. Almost everyone was in his or her elegant Filipinia and abel suits. 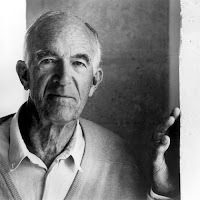 Governor Michael Marcos Keon gave a speech opening up the affair. He greeted the guests such as Congressman Ferdinand Marcos Jr. and wife Atty. Liza Marcos, Ms. Irene Marcos Araneta and the officials of the province. He talked about his projects and accomplishments. The highlight of the event was the awarding of the Gameng Lifetime Achievement Awards to three selected individuals who excelled in their craft, which contributed to the enrichment of the Ilocano cultural heritage. Consuelo Castillo or fondly called Nana O’o is 94 years old who is revered as spiritual guru. She is an expert in offering prayers for the deceased at the time of death to its 9th day, 1st month, 6th month and first year anniversary. At her age she still has the sharp memory to recite the litany. Raymundo Gaspar, 83 years old, builds calesas since 1960. He designs and creates the wheels to the body of the calesa. 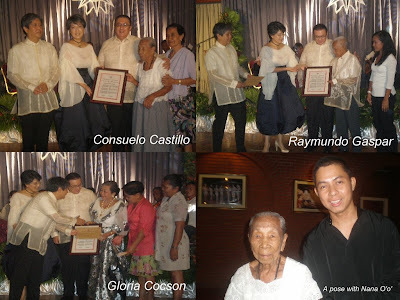 The third awardee was Gloria Cocson who is an expert in the field of emapanada making. She may even be called the empanada queen since she is in the business for so long. These are people who contributed in the Ilocos heritage. It is their wish to pass on the legacy to their children so that they continue what they have started. Dinner was served with roast beef, barbecued spare ribs, assorted cold cuts, fresh garden salad, steamed rice, carbonara pasta, potato salad, poached fish in ginger and onion sleeks, desert of maja blanca and fresh fruits. I was surprised to see on the table mamaen composed of the boa and gawed placed on top of a miniature ulnas. Likewise the decorations on the stage and the entrance door caught my attention since it was palms with eggplants, tomatoes, okra, string beans to represent as flowers. It was creative. Ballroom dancing was the last part of the program as enjoyed by most guests. When we went to Dos Hermanos Island, I saw some fishermen doing their catch in the waves. They call the fishing as sigay in Ilocano vernacular. These men used bamboo as their fishing pole or tool with some bait at the end of the string. They carry with them rattan back bag or called baki or alat in the local dialect to shell in their catch. Just to make a documentation out of it, Alaric and I braved the sharp coral rocks to walk through and the splashing waves that made our shorts wet . I was even apprehensive that my camera might drop or get wet. Fortunately, it did not. I had the chance to interact with these fishermen. One of them caught a couple of fish called ap-apukol. He told me that he can instantly catch and sometimes it takes a while. We had a side trip to another alluring site which was the Blue Lagoon located in the same Baranggay Balaoi of the town of Pagudpud. It is another wonder of nature. This is branded as Boracay of the North since it has fine white sand and pristine water. Its name Blue Lagoon truly lives to its name as it displays a perfect view of blue sea reflecting the sky’s deep color. This virgin paradise of the North does not only offer beaches but also caves such as the Bantay Abot cave, the Dos Hermanos Island which is eye catching, and the hills. We had our lunch of Ilocano dishes consisted of igado, chicken adobo, steamed rice, ensalada and inabraw at Hannah’s place. It is an accommodation facility with a number of villas to occupy. These are concrete buildings with galvanized roofings. They offer amenities such as swimming pool, bar and restaurant. Yesterday, we had not only a nature tripping but also an environment advocacy activity since we from the Green Ilocos Norte and Network Advocacy (GINNA) group headed by our president Shermon Cruz with members Alaric, Judelyn, Freda, Jennifer, Pauline, Arnel, Andie, Neil and Dr. Julius went to visit the Kabigan Falls. We went there with the objective to survey the status of the waterfalls and be of help in the conservation of this natural wonder. We were assisted by the tourism officer Jose Morata of Pagudpud to get to the place. The term “kabigan” was derived from the word “kaibigan” or “magkaibigan” to which has its own story to tell about the origin of the place. 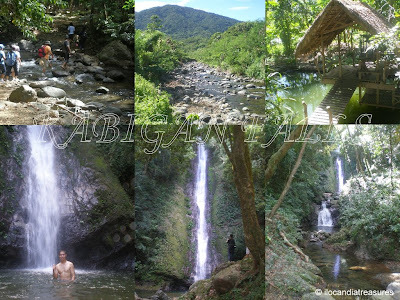 Kabigan Falls has an approximate height of 87 feet with a concave basin underneath to catch the water perfect for the guests and tourists to swim at and enjoy its water. The water was totally very cold when I took a dip. I never wasted time to savor the beauty and wonder of this site. We trekked for about 30 minutes starting from the highway which has a distance of 1.8km. It has an easy trail to follow, a thick foliage to keep you shaded and you have to cross a couple of streams originating from the waterfalls. Along the way, you can view panorama of the mountain ranges, the rice fields, some carabaos, exotic plants and fruits. The said waterfalls is located in Baranggay Balaoi in the Pagudpud town of Ilocos Norte. This is exactly an amazing treasure of Ilocandia. A sight to behold. It is our prayer that it can be conserved for the future’s generation to enjoy. The auto rickshaw or tuk-tuk is a chief mode of transportation in the countries of Thailand, Cambodia, Laos, Vietnam and other parts of the world. The tuk tuk, popularly known as rickshaw is a motor vehicle with a cabin attached to the rear. This is an urban transport for hire. This is popular in places where traffic congestion is a problem. This can also be found and widely used in China, India, and other Latin American countries. On my previous visit to Indochina, I was able to ride tuk-tuks in Ho Chi Minh, Phnom Pehn, Siem Reap, Vientiane and especially Bangkok. It was all a great ride experience. I had a relaxing ride when I visited the temple complex of Angkor wherein we hired a tuk-tuk with a driver by the day and toured us around. The tuk-tuks come in different forms and designs. 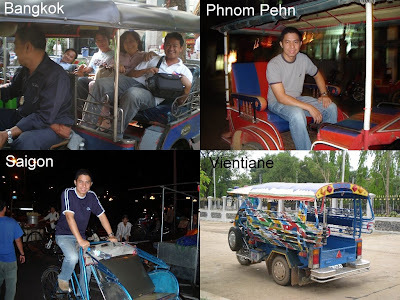 In Siem Reap they are generally the style of motorcycle and trailer whereas in Phnom Pehn, it is one piece. They are comprised of steering, tank, engine with a covered tray mounted at the back. It can carry 6 people. Lao tuktuk looks like that of Phnom Pehn while Ho Chi Minh looks like that of a Siem Reap tuktuk. The one I tried in Saigon was an unmotorized. Passengers sit infront of the driver. The counterpart of tuk-tuk in the Philippines is called tricycle. In Thailand, my foster Mom Noi together with my foster brothers Ronald of Philippines and Pangna of Laos took us to a tuk-tuk ride in downtown Bangkok. 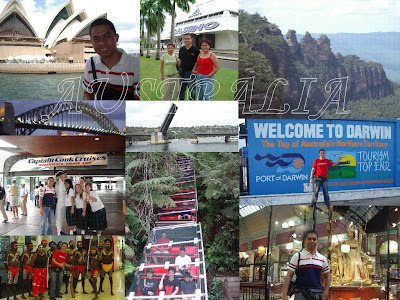 It was a wonderful experience since you get that real feel of a city ambience up close. I remember, the tuk-tuk was even used in the commercial ad of James Bond or Pierce Brosnan featuring the visa credit card. He used the card to pay the driver for a dilapidated tuk-tuk. Tuk-tuk has been used in so many films such as in the James Bond movie. 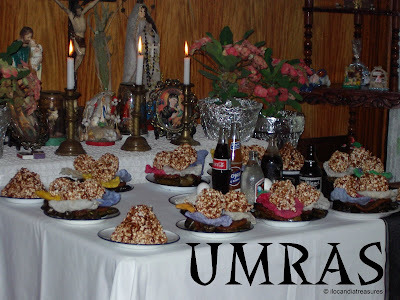 Umras is a tradition in the province of Ilocos Norte. It is a term used to refer to the method of offering ritual of prayers and food for the loved ones who passed away. The locals especially the older people believe that with this practice they are able to help appease the spirits and make them closer to God. It is also a way to honor and remember dead people. This tradition is usually observed during the first month, seventh month and first year death anniversary and also on All Saint’s Day (Defunturung). 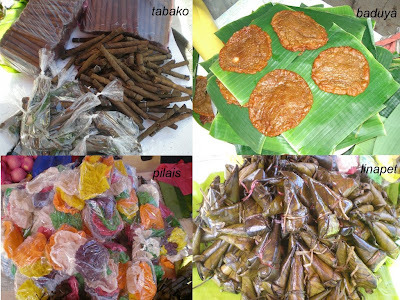 The market in Laoag City is full of these items on sale on halloween. Based on my interviews with the elders, there are different components of the umras which comprises the dudul, pilais or pinais, sinuman, baduya, busi or pop rice, balisongsong or patopat, linapet, linga (black sesame seeds), binuelos, gawed, apog, muscada, basi, softdrinks, mamaen or boa, uncooked rice set on a crucifixion form with itlog (fresh egg placed on its top), tabako where the leader of the praying team takes home this rice after the session. The table where they place the atang is half covered by manto or the black and the other half with white linen. There are 12 plates offered usually filled up with the food. Some would arrange the food in the plate in a tower form. For practicality nowadays, six plates would do. These are arranged in the said table in front of the altar. The prayer is then begun. Some people believe that the atang should not be eaten whereas others enjoy eating it. They vigil the atang or it is being watched or monitored by a person overnight. They remove the atang before sunrise. Some eat a part of the atang and burry in the ground some portions of it. Usually the one who recites litany or leads the prayer is an old woman preferrably a widower.